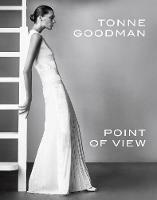 Original catalogue to the Paris exhibition and now a core part of the blockbuster retrospective at the V&A. 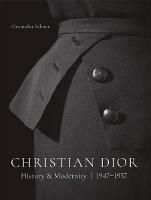 For this book, seventy of the most memorable looks created Christian Dior and his successors - Yves Saint Laurent, Marc Bohan, Gianfranco Ferre, John Galliano, Raf Simons and Maria Grazia Chiuri - have been specially selected and photographed in fascinating detail. These wonderful designs are also featured in sketches, runway shots and fashion shoots by the world's greatest fashion photographers, including Irving Penn, Richard Avedon, Cecil Beaton, William Klein, Helmut Newton, Patrick Demarchelier, Paolo Roversi, Peter Lindbergh, Mario Testino and Nick Knight. 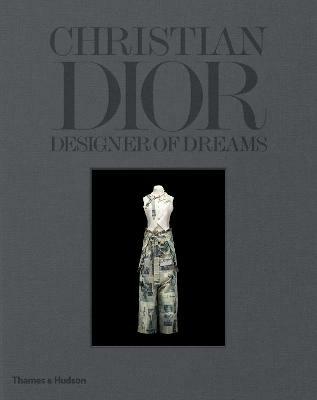 Recurring themes from the history of Dior are discussed in depth: the concept of line and architecture in fashion; the influence of history and art (the Palace of Versailles, the Empire style, Impressionism, the Belle Epoque, the Ballets Russes, Picasso, Dali, Pollock); the use of colour; the influence of gardens and landscapes as sources of inspiration; and, of course, the brand's muses and famous clients: the Duchess of Windsor, Marlene Dietrich, Princess Grace of Monaco, Marilyn Monroe, Elizabeth Taylor, Isabelle Adjani, Princess Diana, Marion Cotillard, Charlize Theron, Natalie Portman, Jennifer Lawrence and more. 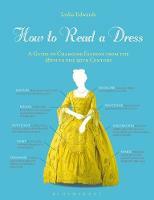 Florence Muller is a Professor at the Institut Francais de la Mode (IFM), where she teaches the History of Fashion.